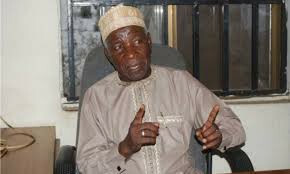 The Department of State Services (DSS) has denied reports claiming it had arrested a spokesperson of the Peoples Democratic Party (PDP) Campaign Council, Buba Galadima. It was widely reported yesterday that the PDP spokesperson was picked up by unknown masked men in Wuse 2 area in Abuja. Recall that the Buhari Campaign Organization had in a statement released by its spokesperson, Festus Keyamo, called for the arrest of Galadima over allegations he was releasing fake presidential results. The DSS has however denied any involvement in the reported arrest of Galadima.